TomTom, the leading third party navigation provider and sat-nav manufacturer has increased the number of smart phones its application is avilable for. 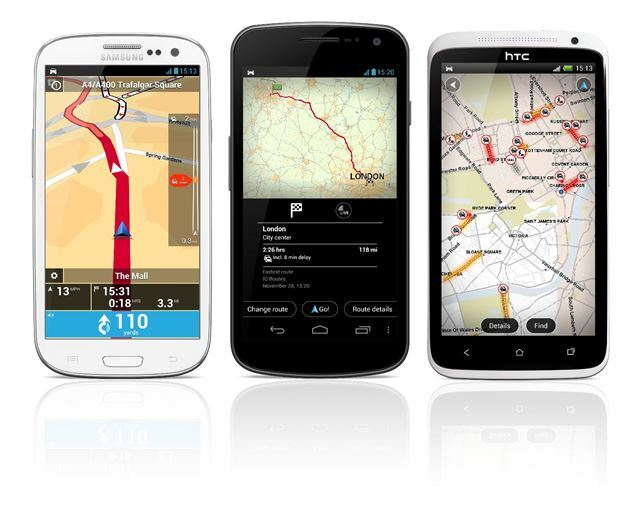 Its Navigation App was recently introduced on Android 'phones, and this has now been optimised to work on popular handsets including the Samsung Galaxy S3, HTC One X and Google Nexus 4. As well as supporting more than 200 of the newest Android devices, the latest update to Navigation App brings other improvements. The Driving View has been updated, making the journey information clearer at a glance, and in addition, post code entry is more flexible and the app can find locations from the phone address book more reliably. TomTom’s introductory offer has been extended for the holiday season, which means customers can get the app at the special, discounted price of £30.99 for the UK and Ireland map. People already navigating with the app can update free of charge.